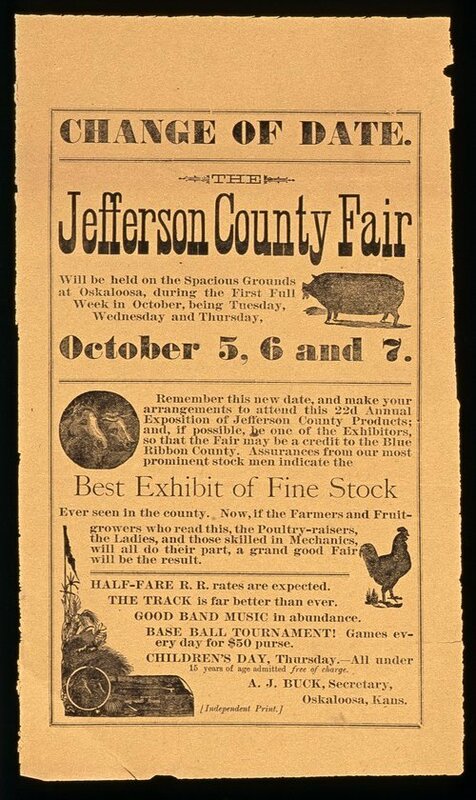 This poster announces the Jefferson County fair to be held at Oskaloosa, Kansas. Highlights of the fair include best exhibit of stock, good band of music, and half-fair rail rates. The poster includes illustrations of livestock.